This Product is vulnerable to a combination of CSRF/XSS attack meaning that if an admin user can be tricked to visit a crafted URL created by attacker (via spear phishing/social engineering), the attacker can execute arbitrary code into login page. Once exploited, admin’s browser can be made to do almost anything the admin user could typically do by hijacking admin's cookies etc. 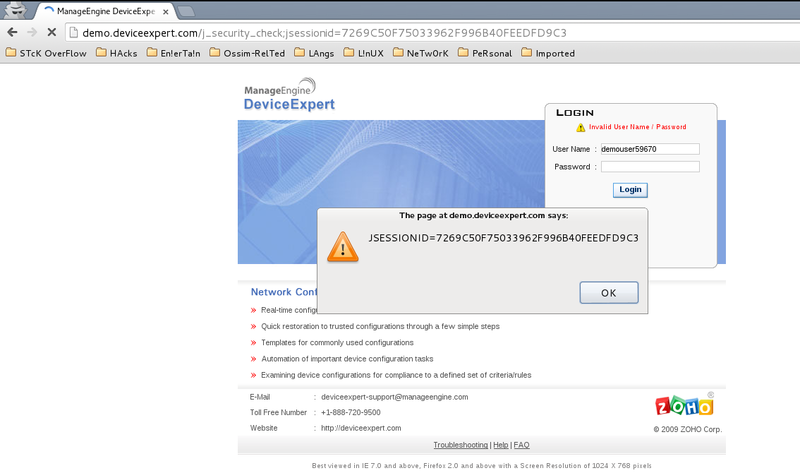 And see the XSS in action. Star the Device Expert service and check.